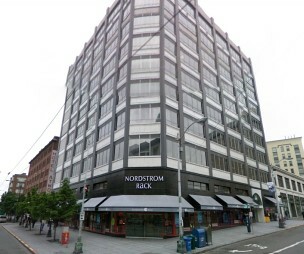 Nordstrom Rack in downtown Seattle has relocated to the Westlake Center. Gigantic on-site liquidation sale at the former Rack location is open to the public – all store fixtures, equipment & much more will be sold !!!! Please note: Please do not disrupt any Nordstrom Rack employees – they are unfamiliar with any of the details about the store fixture sale, including pricing, availability, etc. If you have questions, please call Karen at (509) 969-7223. Huge selection to choose from! This is a very large store – 4 levels! Please call Karen at (509) 969-7223 for more information (or just come to the sale during our sale hours). Items for sale subject to change. Nordstrom Rack’s merchandise (clothing, etc.) will not be sold at this liquidation sale. Sale dates & hours: Open 10:00 am to 6:00 pm every day, including weekends (appointments are not needed).